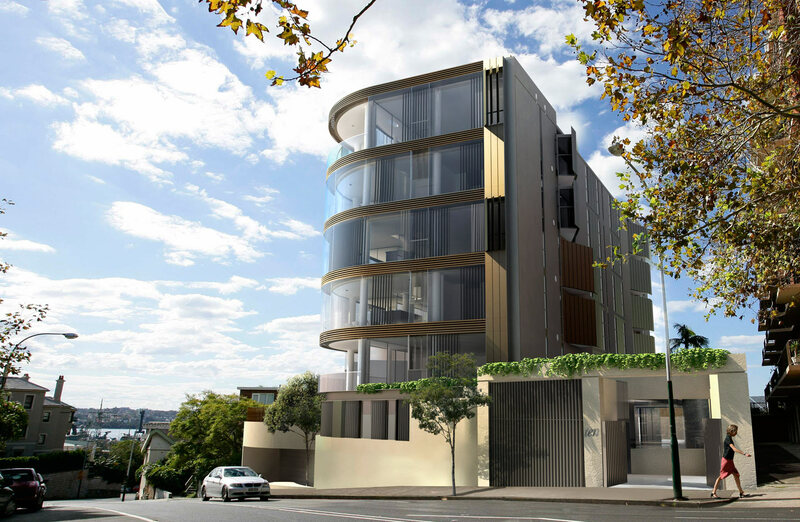 This unrealised project for a new apartment building at 10 Wylde Street was developed from a series of complex and not always complimentary criteria. 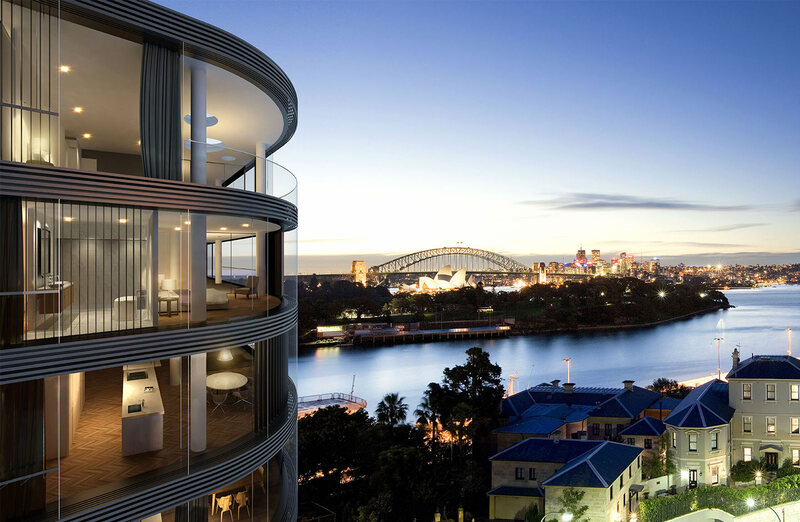 The spectacular views from the site demanded an approach that maximised the amount of glazing for the project, while the environmental needs of the brief, regulations and developing public expectations demanded a detailed and highly complex approach to the performance of the building envelope. The result of these seemingly contradictory briefing requirements was a sustainable building that maximised the views while also providing a working façade that could be sealed up for maximum heat gain in Winter and opened up to breathe in Summer while shielding out the sun. 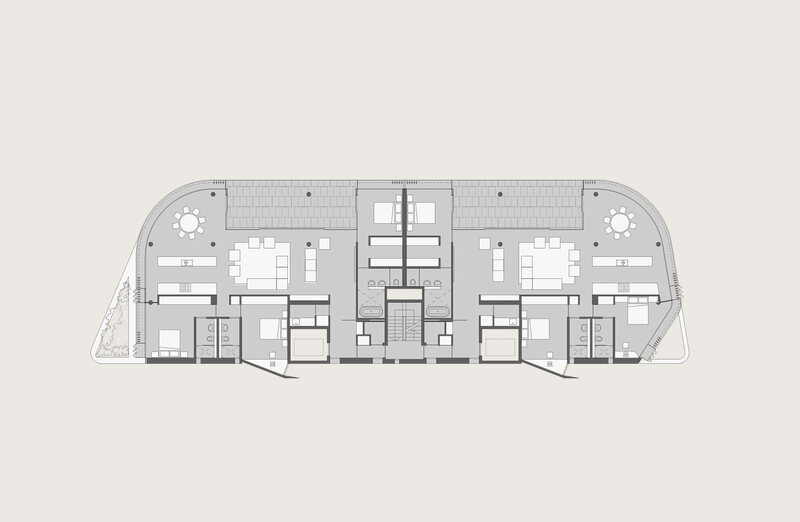 Other positive design outcomes included long expanses of northerly aspect, high ceilings to all living spaces, geo-thermal air-conditioning, co-generated power supply and a shallow floorplate that encouraged cross-ventilation. 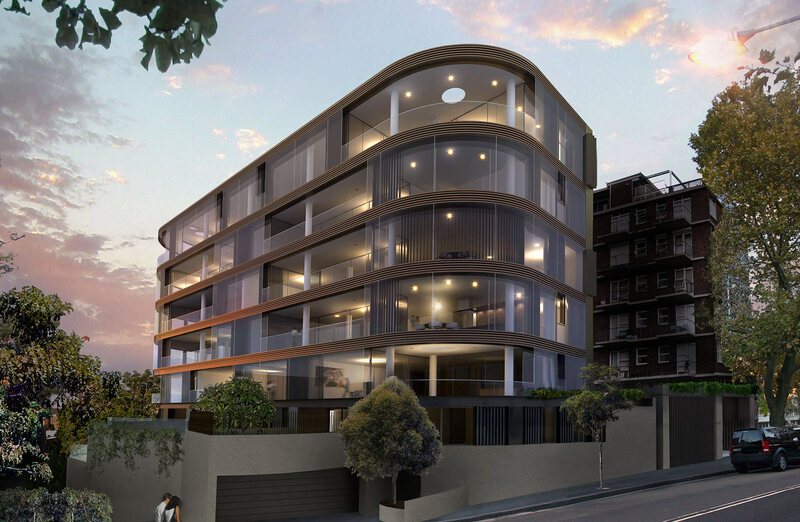 Most apartments also achieved private lift access directly from the garages to the individual apartments, the lower level apartments were designed as two-storey. 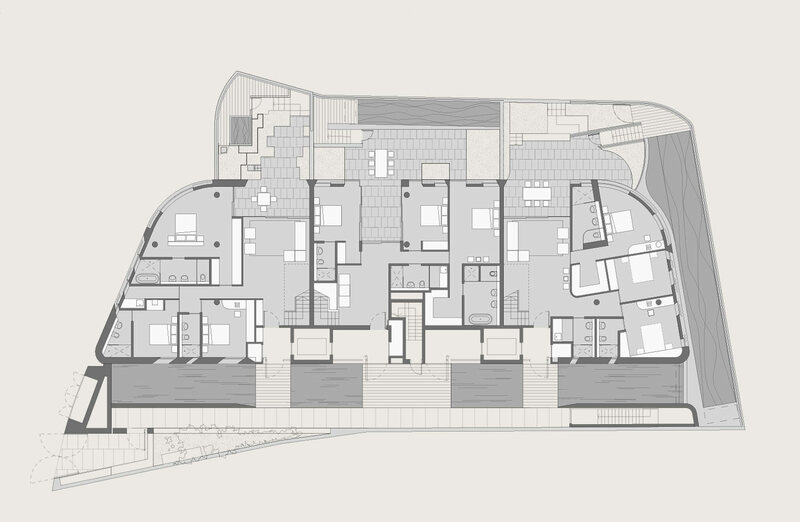 In creating the design for 10 Wylde Street, our methodology took into account the aspirations of the individual who would eventually make this their home, resulting in a finely detailed approach to the building’s form and a considered and adaptable approach to its internal amenity. The combination of this underlying expectation of quality combined with urban sensitivity and an environmentally sound approach delivered an authentic and memorable architectural solution.